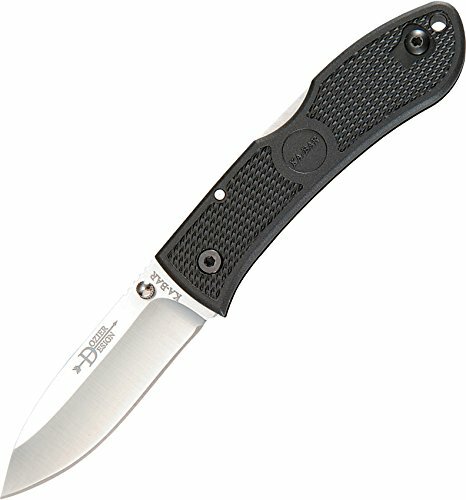 Many of you know that I'm always trying to pack lighter and slim my every day carry (EDC) gear in exactly the same way as I do for my backpacking trips. 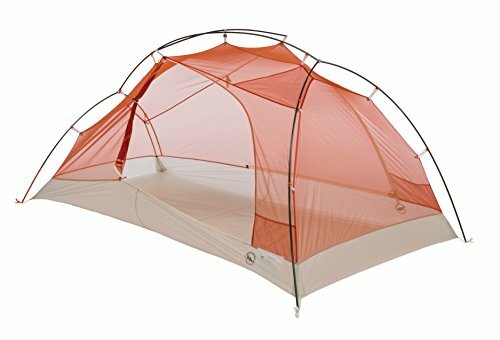 Once you embrace an ultralight mindset it pervades your life and before you know if you're scrutinizing ever piece of gear you carry, whether you're in the back country or an urban environment. 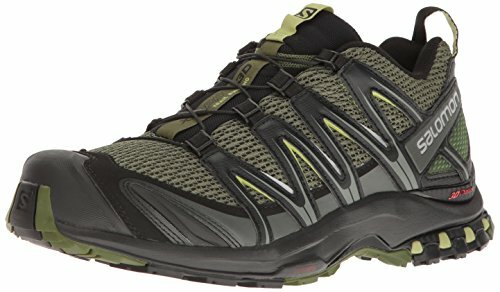 Last year I wrote a blog post entitled 'Ultralight as a Lifestyle?' 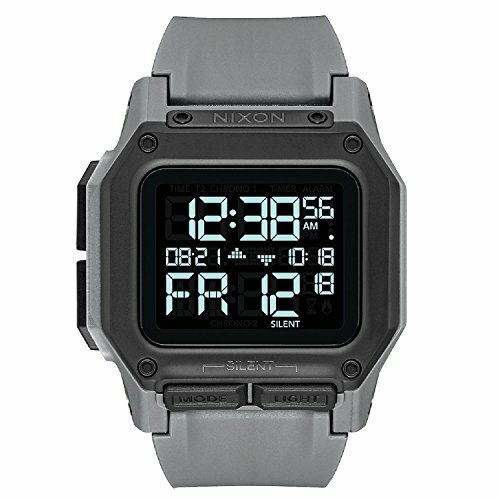 about the minimalist Maxpedition Micro wallet I carry for everyday use. I dislike carrying things in my pockets, so having to carry a wallet at all is a nuisance for me. 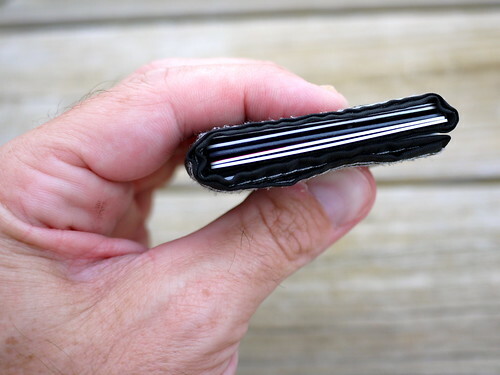 For that reason I have always tried to carry the thinnest wallet that I can get away with. I've tried lots of different wallet with vary degrees of success and learned to narrow down the amount of cards I need to carry. For the most part I've been happy with the Micro for several months now. 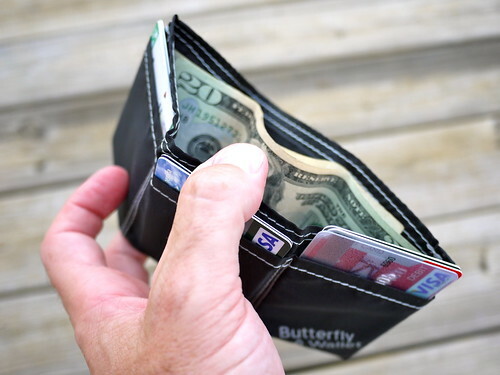 A Real Ultralight Wallet Recently I was contacted by Mark Winstein, designer of the Butterfly Wallet, to see if I would be interested in trying one and comparing it to my MaxP Micro. 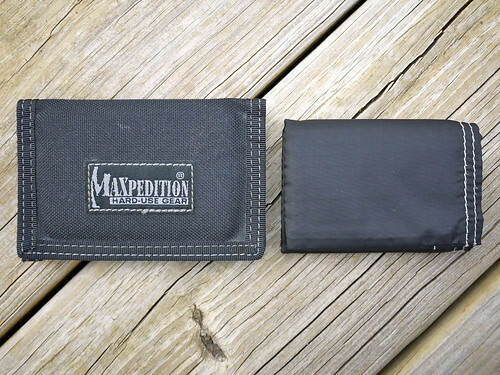 I wasn't unhappy with my current wallet, but I'm always looking for better alternatives - and there were some things I would change about the Maxpedition Micro if I had the chance - so I agreed to take a look at one, I chose black. When it arrived and I opened it up I knew it would be replacing my Maxpedition wallet! 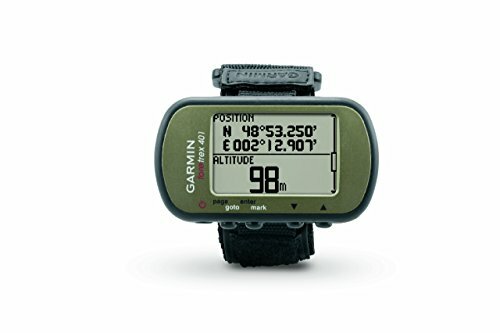 It immediately oozed of quality construction, was smaller in form factor than the Maxpedition, and a quarter of the weight. 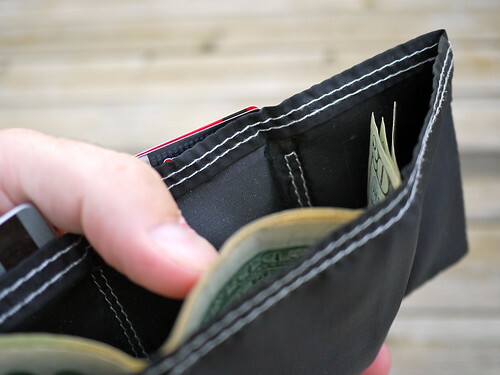 The real differentiator though was that the Butterfly Wallet was a real tri-fold with a compartment for cash bills, the Maxpedition has no way to hold bills unless there folded into thirds - making it fat in a hurry. Well Designed The Butterfly Wallet has three compartments for credit cards that each comfortably hold three cards, I choose to only have two in each for a total six cards - more than enough. Furthermore the credit card pockets are the right size, I'll let that sink in. 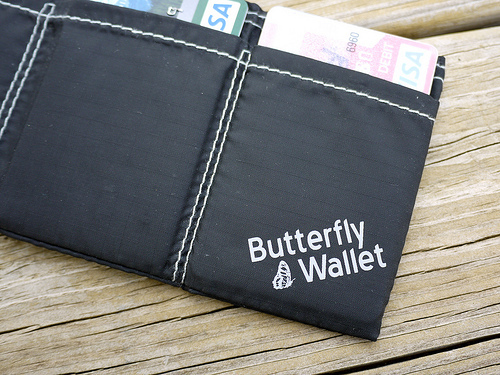 The Butterfly Wallet was made to fit perfectly to the size of a credit card. You might be thinking "aren't all wallets? Well no as it happens. The Maxpedition Micro, despite being minimal, is actually quite a lot bigger than a standard credit card, almost annoyingly so. The credit cards and my driver's license slide around in the pockets, seems odd. 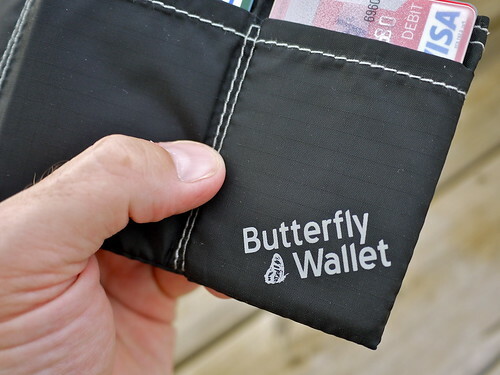 That's not the case with the Butterfly Wallet as you can see. The quality of the construction on the Butterfly Wallet is extremely good also. All of the stitching, inside and out, is taught and even and there were no loose threads that I could find. 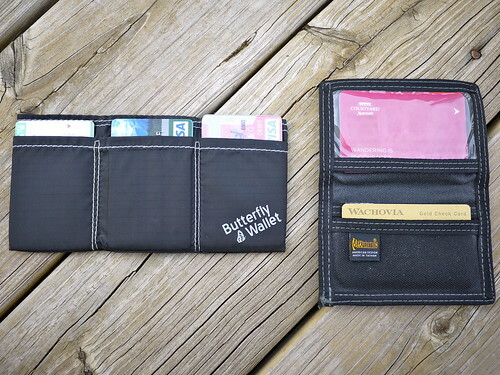 When the Butterfly Wallet is empty it seems very flimsy and has no structure of its own. This is because it is designed to use the credit cards placed into it to provide the rigidity and structure, allowing the wallet itself to be made with very thin but strong materials. 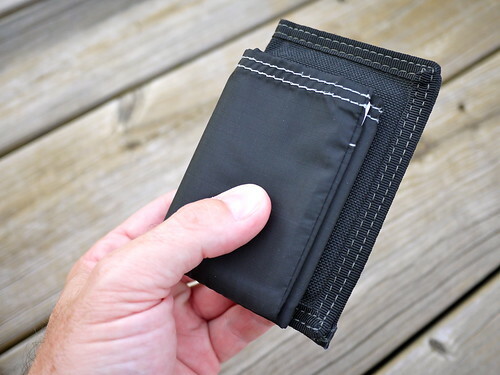 Do you have an ultralight wallet that you love?